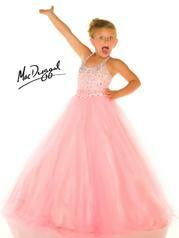 Your little princess will shine on stage in this strappy style. AB crystals and sequins light up the stage as they drip down the bodice onto the light and airy tulle skirt. But what makes this gown so unique is the high halter neckline. 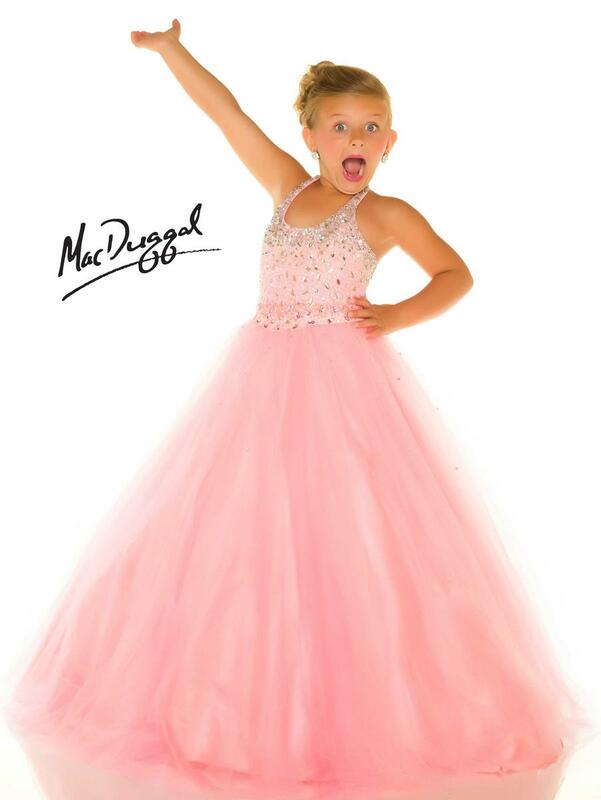 Whether you choose the aqua to be your winner or make her feel like a queen in bubblegum let your princesses' personality shine though in style 48318S.